At the Janssen Pharmaceutical Companies of Johnson & Johnson, working on incremental improvements to healthcare is not enough. We leverage our scientific expertise to transform entire disease categories and make significant contributions to global human health. In our five priority therapeutic areas, we bring together top scientists and researchers, pursuing the most promising science and driving collaboration to create visionary medicines and healthcare solutions. With precision medicine, we are working on transforming the study of disease by investing in best-in-class research capabilities in genomics, biotherapeutics, biomarkers, molecular and companion diagnostics, the microbiome, disease interception, prevention and vaccine platforms. We are accessing early-stage breakthrough innovations from the leading innovation hotspots around the world, connecting our in-house expertise with the best available external science. At Janssen Research & Development, we are united and energized by one mission – to discover and develop innovative medicines and solutions that transform individuals’ lives and solve the most important unmet medical needs of our time. As one of the Janssen Pharmaceutical Companies of Johnson & Johnson, our strategy is to identify those needs and match them with the best science, internal or external, to find solutions for individuals worldwide. We leverage our world-class discovery and development expertise, and operational excellence, to bring innovative, effective and safe treatments forward in six therapeutic areas: cardiovascular and metabolism, immunology, infectious diseases and vaccines, neuroscience, oncology, and pulmonary hypertension. As a world leader in developing therapeutic biologic solutions for the treatment of challenging and complex diseases, our biotherapeutics organization works to translate scientific discoveries into medicines that will continue to make significant contributions to human health. We also focus on promising new spaces in science, including novel approaches to disease prevention, disease interception and the microbiome – areas that are expected to change the healthcare landscape and the lives of people well into the future. And our science serves global health with a growing portfolio of medicines and services addressing some of the greatest unmet public health needs of people all over the world. We think of the world as our laboratory and we look for innovation wherever it exists. This drives our relentless search for the best science, and our pursuit of collaborations and partnerships. We believe there are no limits to what science can do. And we never lose sight of those who rely most on our discoveries. Discovering, developing and delivering differentiated medicines that address the most serious unmet medical needs of our time requires the best science in the world, whether from within our own walls or through strategic collaborations. We have more than 400 alliances globally, partnering with the world’s top minds, from academic institutions and advocacy groups to companies large and small. These strategic relationships take many forms, yet our goal is always the same: to advance scientific research and to deliver innovative solutions that provide value to patients, physicians and healthcare systems around the world. We have a robust pipeline in six therapeutic areas: cardiovascular/metabolism, immunology, infectious diseases and vaccines, neuroscience, oncology, and pulmonary hypertension. Since 2009, our focused strategy has enabled Janssen to introduce 14 novel therapeutics and 35 new indications in major markets for existing medicines, all of which provide important new treatment options across a multitude of serious life-changing illnesses. 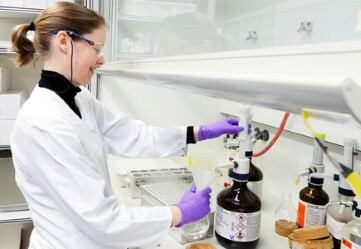 Collaborating with our therapeutic areas, across the Johnson & Johnson Family of Companies and with external partners, we apply our industry-leading biotherapeutics expertise to a broad range of projects and have developed a portfolio of more than 50 novel and differentiated biologic drug candidates. The Janssen Prevention Center is exploring new approaches to disease prevention in major areas of unmet medical need, focusing on the chronic non-communicable disease that are becoming increasingly important in our aging populations. These include illnesses like Alzheimer’s disease, cancer and heart disease. The Disease Interception Accelerator is an incubator-like group, which addresses the root cause of disease, intervenes earlier than today’s clinically accepted point of diagnosis and seeks solutions to stop, reverse or inhibit progression to disease, such as type 1 diabetes, various forms of cancer and other disease areas of unmet need. The Janssen Human Microbiome Institute focuses on understanding the microbiome – the diverse population of bacteria living in and on the human body – and gaining insight into its role in disease. It aims to find new therapies for major autoimmune diseases and other conditions within the Janssen therapeutic areas for which no sufficient treatment options exist today.